Sewing is math. In my article “Introduction to Stitching & STEAM”, I demonstrated that sewing can be used to teach kids math. 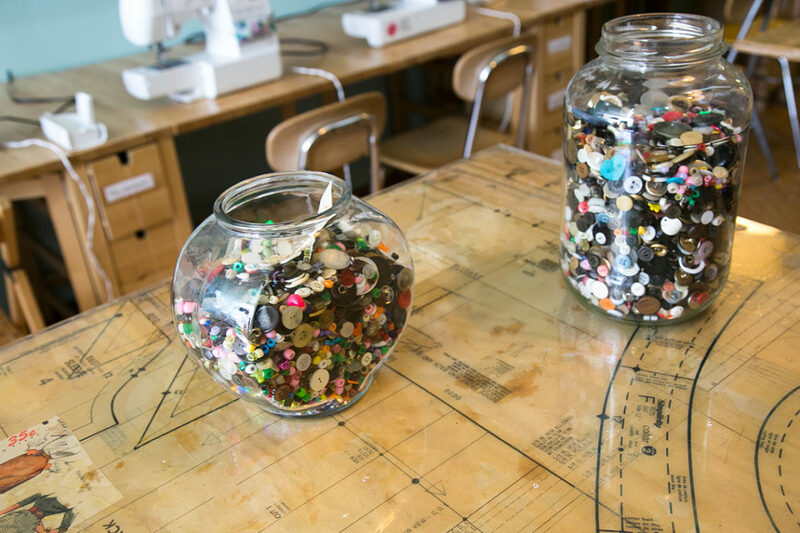 There is the obvious component of measurement, but there is also even geometry involved when making circular items, like hats and circle skirts. Today, as I was teaching a roomful of 2nd and 3rd graders, I was reminded how sewing math can also teach kids multiplication. 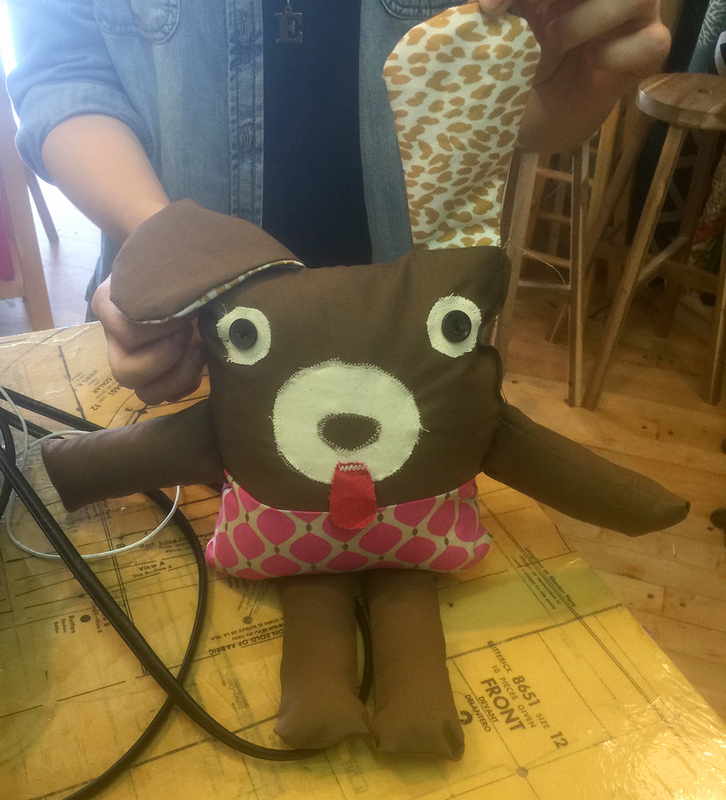 We began a brand new project today: a stuffed puppy. It’s a fairly simple rectangle-shape body, so it’s a wonderful sewing project for this age group to tackle. It’s the face is what makes it look more puppy-like. Anyway, I always start a new project like this by talking about what fabric we’ll need for the project and all of its pieces. It’s always good to get a reading on your group’s interest level/excitement for a project. I start the class by holding up the dog for everyone to see and then go piece by piece through it to determine what we’ll need for pieces of fabric. The first thing we talk about is the big, floppy ears. For this particular project, the dog has two ears, and each requires 2 pieces of fabric (front and back). After explaining this is I ask, “how many pieces of ear shaped fabric do we need to make two finished ears?” And just like that, multiplying 2×2 has an immediate application! Boom. Sewing math. Next I show them that the dog has a total of 4 limbs (2 arms, 2 legs). I ask my students to tell me how many pieces of fabric it takes to make one finished (and stuffed) arm. They quickly let me know that it’s 2 – one for the front and one for the back. At this point, you can probably guess my next question. Kids are smart. They’re raising their hands already because they know the answer before I even ask the question. Two pieces of fabric multiplied by four limbs on the dog is eight total pieces! 2×4 =8 Easy peazy, and not only are they loving that were going make this awesome project, I’ve taught them some multiplication and they didn’t even realize it. Sewing math. All in a day’s work, friends. All in a days “work”. People who work with a coach are more likely to succeed! I love helping people, and I can help you avoid common pitfalls and reach your goals! 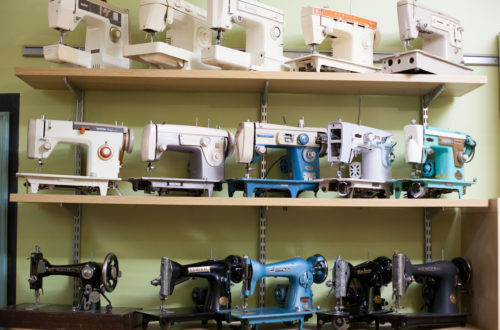 Ever wonder how sewing actually works?